These prayers of intercession deal with the everyday concerns of the worship? ?ping com?munity in ele? ?g?ant, lyrical lan?? ?g?uage, lending sub?stance and sensi?tivity to this part of the service. They are written in an easy-to-use for?mat that will help clergy and laity alike in leading meaningful times of intercession. Prayers of Intercession is extracted from the complete Living Stones. Living Stones: Prayers of Intercessions Year A by Susan Sayers was published by Kevin Mayhew in September 1998 and is our 3407th best seller. The ISBN for Living Stones: Prayers of Intercessions Year A is 9781840032161. 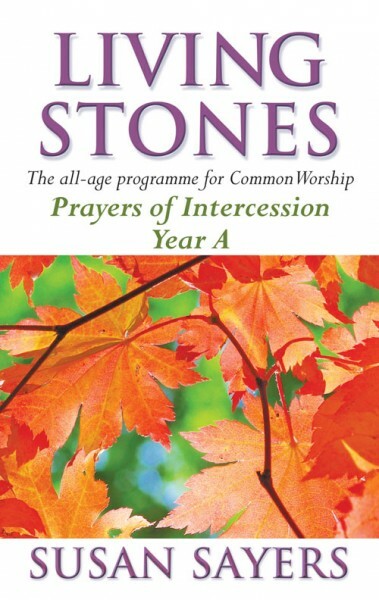 Be the first to review Living Stones: Prayers of Intercessions Year A! Got a question? No problem! Just click here to ask us about Living Stones: Prayers of Intercessions Year A.